Does migration affect schooling decisions for children back home? Circular labor migration is a core feature of low-income labor markets. Yet, evidence on how this migration affects education investments in sending communities is limited due to lack of high quality data and challenging identification issues. This is especially true in Africa, where children can substitute for migrant adult labor. In this paper, we estimate the net effect of international migration on human capital accumulation of children by exploiting two large migrant labor shocks in sending communities in Malawi. 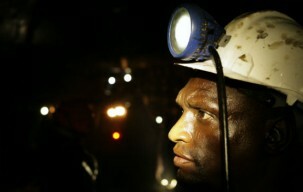 An international mine labor treaty signed in 1967 initiated a 300% increase in the flow of Malawians to South Africa. Seven years later, a mining plane crash prompted the Malawian government to halt and reverse this expansion until 1977. Our strategy compares differences in long run human capital accumulation across high and low shock areas, among cohorts eligible and ineligible for primary school during the shock years. We construct measures of district-level exposure to this rapid expansion and contraction of foreign employment and earnings using historical locations of mining recruiting stations. We match this spatial variation in migration costs to cohort-specific education outcomes from newly digitized 1977 and 1998 Census data. Both shocks to migration had large, positive impacts on education. Age eligible cohorts exposed to the shocks attained 10 to 15% more schooling and the share with any primary schooling rose by 5 to 8%. Neither school supply-side interventions nor internal migration dynamics account for our results. However, these long run effects are only apparent in districts without agricultural estates, where child labor is less substitutable for missing male labor.